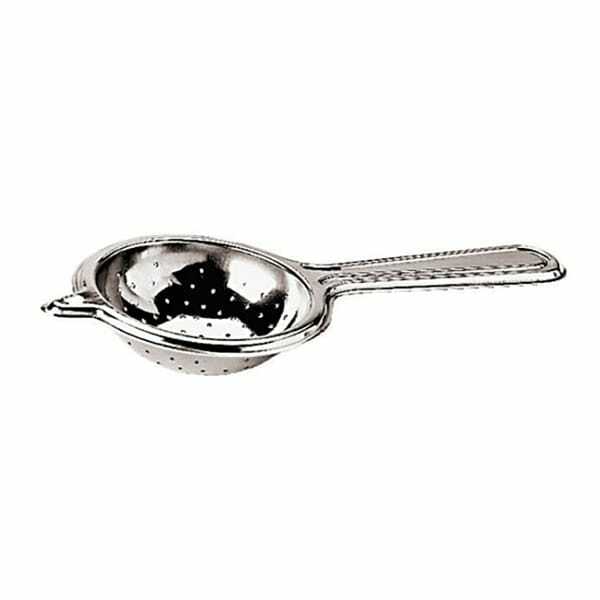 The Paderno 41530-07 tea strainer has an 18/10 stainless steel construction that contains large amounts of nickel to ward off corrosion, while remaining scuff and scrape resistant. 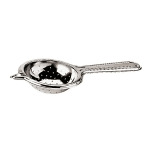 A handle for scooping and a point on the opposite end enable the tea strainer to sit over the rim of a teacup for brewing. Tea brews through the tiny holes in the dome without getting flakes and leaves in the water.